January and February have hit us hard with the weather! We want to be out on the deck, listening to music and enjoying our weekends. Instead, we are constantly fighting the snow and cold. That’s ok. Mother Nature thinks she can get to us but we’ve got her beat at this game! We’ve got a cold-weather system down and we just adjust what we are going to grill! Last weekend, I wanted to play with Dizzy Pig IPA seasoning (my fave!) and Ginny said, “great, we’ll make Double IPA Chicken Wings!” and that is how these came to fruition. I almost can’t wait to pick these up and eat them! 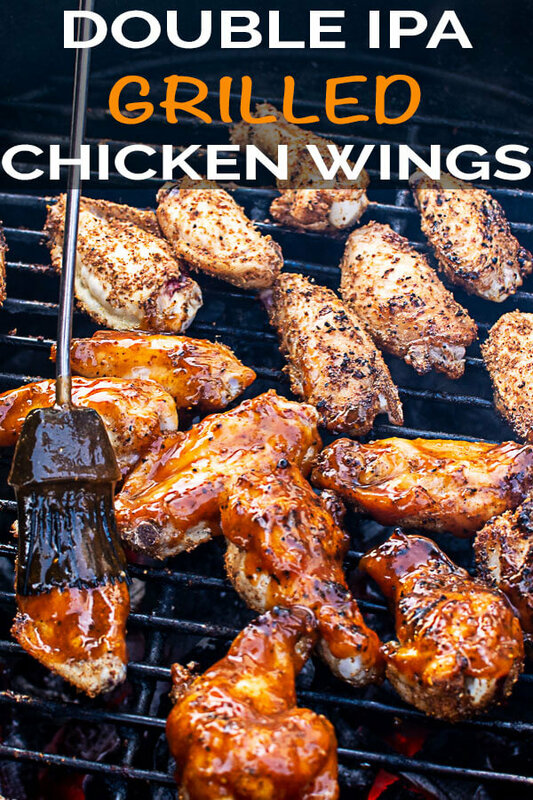 We love grilling wings that have a mixture of flavors. 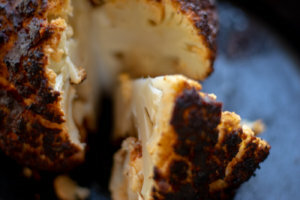 The dry rub combination with the sauce offers a great flavor! In a pan over medium heat, saute onions in olive oil for five to six minutes or until translucent. Add in the garlic and saute for one more minute. Add in the Worcestershire sauce, IPA beer, ketchup, mustard and agave (or honey) and simmer. Add salt and pepper, to taste. Allow it to cool. Once it is cooled down, you can either put in the refrigerator overnight or take it directly to the blender. Prior to heating the grill, place a ¼-½ cup of Dizzy Pig IPA rub in a bowl. Rub that seasoning onto your wings. Get into all the crevices. Heat the grill to 350 degrees. 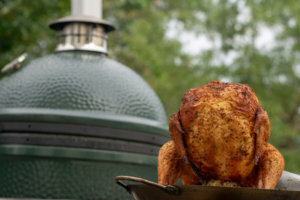 I used direct heat on the Big Green Egg. Wait until it is fully heated and place the chicken wings with the IPA dry rub on the grate. Let it cook for three to four minutes and then turn the wings over for another three to four minutes. At this point, the wings are ready for the IPA sauce. We apply the sauce the same way each time but love it nonetheless. 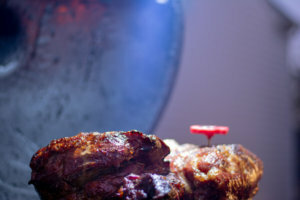 Using a long basting brush, brush on the sauce and allow it to glaze for a minute or so. Then add another layer on top of it. You can let it glaze another minute or so before flipping and repeating the process. One layer of sauce just isn’t enough to get the sticky, ooey-gooey sauce you want on a wing! Don’t skip the two-step method. The heat does the work for you by making the sauce thicken up and stick to the skin of the wings. Then when you apply sauce again, it doesn’t rub off the first layer of sauce. Try it! 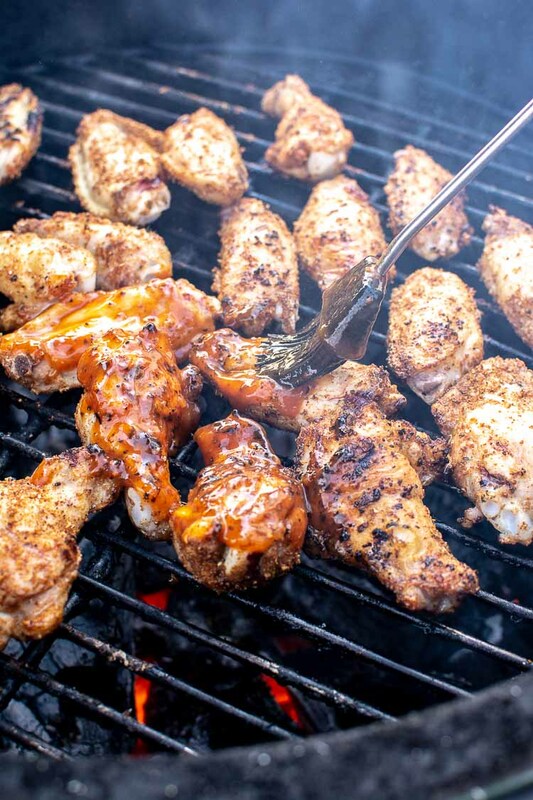 These Awesome Grilled Double IPA Chicken Wings will have you craving a third IPA (in your beer mug!) 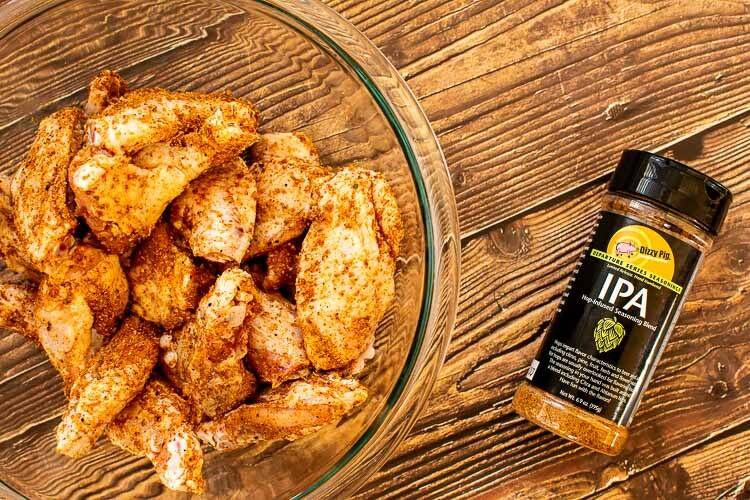 Using DizzyPig’s IPA Dry Rub and a savory IPA sauce, these wings have a super fun and sweet flavor that will be gobbled up in no time! In a pan over medium heat, heat olive oil and add onion. Saute until translucent or about 5-6 minutes. Add garlic cloves and cook an additional minute. Add worcestershire sauce, beer, ketchup, mustard, brown sugar, salt and pepper. Allow to simmer 15-20 minutes. Allow to cool. Once it is fully cooled down, blend in a sturdy blender so the onion is fully incorporated into the sauce. Apply a liberal coating of the Dry Rub to the wings. 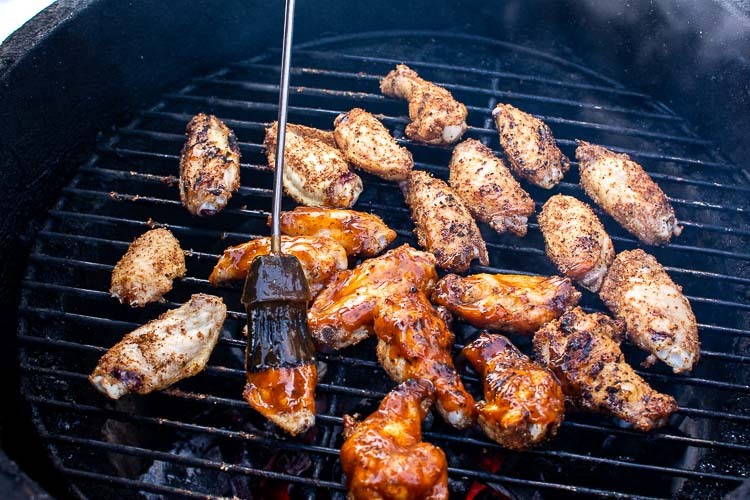 Grill the chicken wings for three to four minutes and turn them over to grill for another three to four minutes. Brush the IPA Sauce on the wings. Let them cook for another minute to let the sauce glaze. Turn the wings over and repeat the brushing process. There is enough sauce to coast 18-24 wings, depending on how many times you brush on the sauce and how large the wings are.